Search. Faveo has an inbuilt search option for easy navigation and access to the available tools and options. Comments on articles. Faveo allows users to leave personal comments on saved articles. Ticketing Management. Faveo ticketing management system helps you to manage tickets and queries efficiently and effectively. SLA Management. Faveo comes loaded with an integrated, time-assigned resolution and support system based on SLA. Priority Management. Faveo comes loaded with integrated time-assigned priority ticket resolution and support system. Rich Text HTML editor. Faveo comes with a Rich HTML text editor and allows ticket replies in rich HTML text. Auto Reply. Faveo comes with an auto reply system for every ticket raised. Customer Portal. 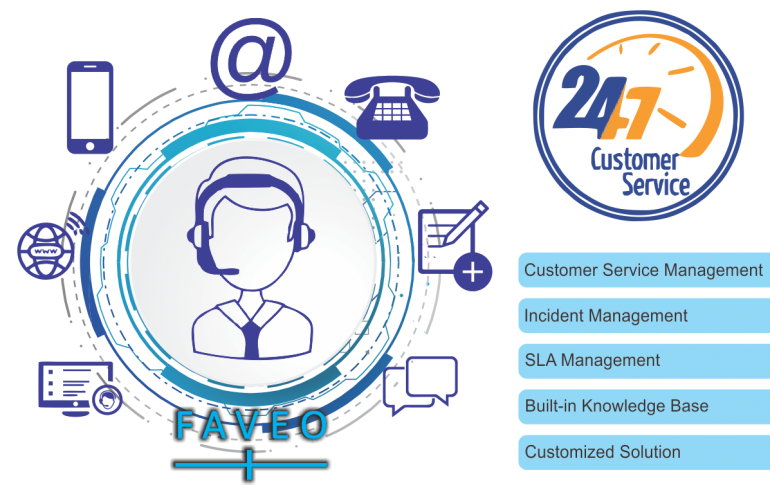 Faveo comes with customer portal to track ticket status and access knowledge base. Email Template. All the emails going out from the system can be customised to change design, as well as content. Custom Forms. Create custom forms to accept tickets from the client portal. Ban List. Faveo allows administrators to create a ban list of users who are prohibited from raising tickets. Ticket Work flow. Define your own custom workflow for ticket creation. Search Engine Friendly Links. Faveo allows users to create search-engine-friendly URLs. Sort article according to category. Easy-to-use tools help you to sort articles into categories. Responsive Design. Faveo has responsive design that can be used from any platform, be it computer, smartphone or tablet. Dashboard Reports. Faveo lets you maintain a steady and detailed record of all the tickets that have been managed and resolved. Collaborators. Faveo supports adding multiple collaborators to a ticket. Assign Tickets. Faveo allows assignment of tickets to particular agents as well as departments. Canned Responses. Faveo comes with the ability to define template message for most common queries in order to save time. Ticket Rating. Clients can rate every ticket reply and also rate overall ticket satisfaction. Help Topics. Configurable help topics for web tickets. Route inquiries without exposing internal departments or priorities. Agent Collision Avoidance. A ticket-locking mechanism that allows staff to lock tickets while responding and avoid conflicting or dual responses. Email Integration. Faveo can read emails and generate tickets out of every email. Email replies to a ticket are automatically attached to the ticket. API. Expand and integrate Faveo with other platforms using APIIn app notification. Get Social media style notifications within the web app. Ticket Overdue. A separate tab and icon to track tickets which have passed their SLA time limit. True One-Click Installation. Faveo offers a super easy setup. We’ve included an EASY step by step Installer. Faveo can also be installed in One click via Softaculous or Fantastico Auto Installer. Be amazed by how quickly you get up and running! Explore a fully featured demo, Download free Faveo helpdesk web and mobile community edition for installation at your premises or request a demonstration.